This is the shocking moment a motorcyclist smashes into a woman after she steps out in front of him as he overtakes a taxi. 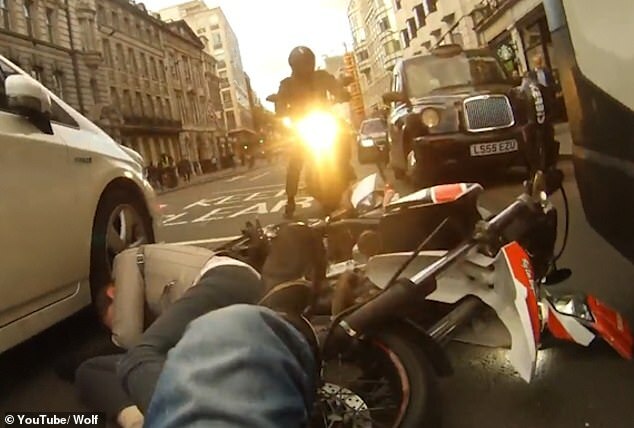 Footage captured on a body cam shows the motorcyclist weaving in between traffic on New Bridge Street near Blackfriars Bridge in Central London. 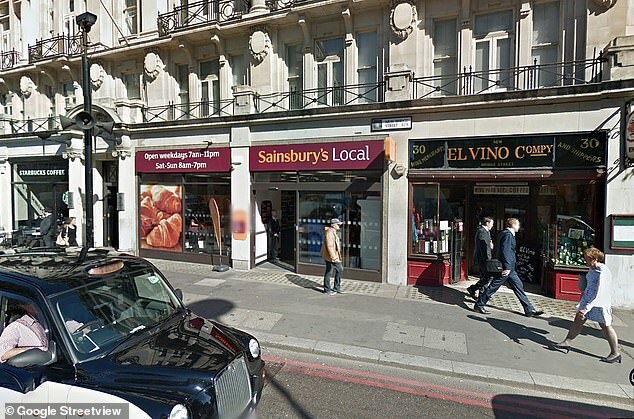 Suddenly the woman can be seen making a dash from the pavement outside a Sainsbury’s Local and into the middle of the road. 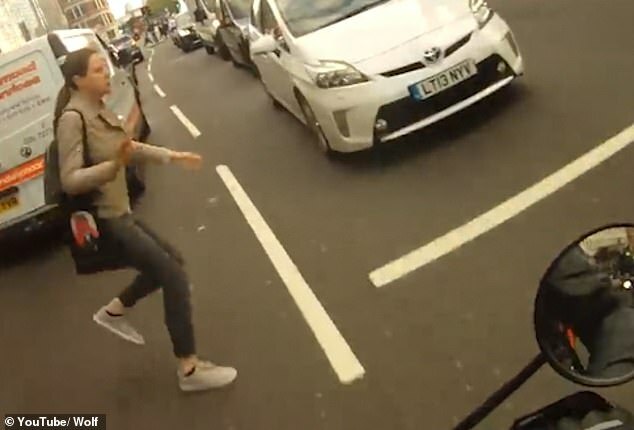 The motorcyclist, who has just overtaken a taxi, has no time to avoid the woman and smashes into her sending them both falling to the ground between two cars. The woman looks dazed and visibly shaken as she tries to stand up after the shocking crash. Moaning can be heard from the motorcyclist and he asks the woman if she is okay. The woman can then be heard apologising as a crowd begins to gather to help them and attempt to wave away oncoming traffic. The driver insists to the crowd that the pedestrian ran out in front of him and that he has captured the moment on camera. The woman is helped to the pavement by passersby as the motorcyclists picks up his bike. Both are believed to have escaped the shocking crash without serious injury.